On a foggy day in May, 2018, Benita and Tyler got married at the farm with their closest friends and family. 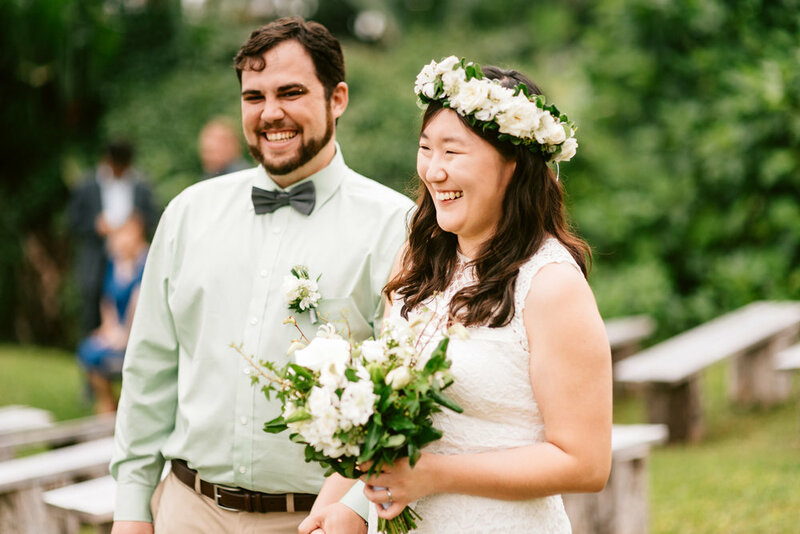 It was a beautiful wedding, with florals in greens and whites, and special touches like homemade mead instead of champagne. Benita: Bonfire while eating wedding cake with local Kona coffee was wonderful. It felt like we had the family mingle together. Tyler: The toasts from our friends and family. Tyler: The animals on the farm! Benita: It is okay to be puzzled by decision making - Kate will make sure everything is just as you want. Benita: While dancing, twirling my husband. Tyler: Walking out of the ceremony and dancing. Benita: I might have ordered more steak as both our families love meat.